An original program for VDB TV: Decades curated by Solveig Nelson. This program focuses on a form of double vision — seeing the 1960s through the lens of the 1990s — in American video art in the 1990s. 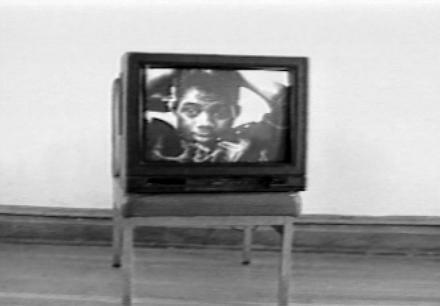 It argues that the stakes of the 1960s in this later period corresponds to a sense of the unfinished political promise of nonviolent direct action, and in turn, the unfinished art historical promise of early video. The videos in this program by Tom Kalin, Gran Fury, Dara Birnbaum, Leah Gilliam, Tom Rubnitz (in collaboration with David Wojnarowicz), Suzie Silver (in collaboration with Hester Reeve) and Sadie Benning all move beyond mere ‘returns to history.’ While sometimes wary about the limitations of Sixties era social movements and urban policies, each approach the 1960s as a site of innovation in media and as a site of innovation in politics.